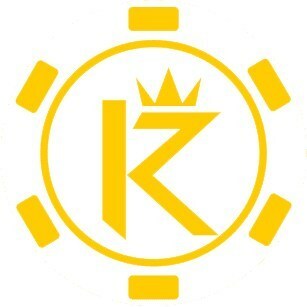 KUBERA PROJECT LIMITED, Le Sanalele Complex, Ground Floor, Vaea Street, Saleufi, Apia, SAMOA, announces that the introduction of the virtual currency, Kubera Coin, to the payment system has been contracted through the business partnership on the kids' card game business conducted in China on December 27th between T Creation and Bit Station. T Creation conducts business for providing advanced and high-quality products of kids' card games, which are especially attracting attention, and for the creation of a new market, ahead of the trend of the amusement facility market in China, in which online gaming is greatly popular. On the other hand, Bit Station is in charge of developing and introducing the Kubera Coin payment system in the kids' card game business conducted in China by T Creation. As the result of their collaboration and supporting each other, this contraction is concluded. KUBERA PROJECT LIMITED, handling Kubera Coin, has improved the environment in order to pursue the convenience for users in the use of the Coin payment system. For instance, a cooperating agreement with Vientiane, the capital of Laos, in November this year on the IT development using Kubera platform, and the start of trading on HitBTC in early December, which is a global-scale virtual currency exchange in the United Kingdom. Kubera Coin is a multi-currency expected for the function of bridge currency including the exchange of Southeast Asian currencies hereafter.